With the new 1 Hour Bible for Kids with Buck Denver & Friends, families will have the opportunity to take a fun and engaging journey through the whole Bible – from Genesis to Revelation. 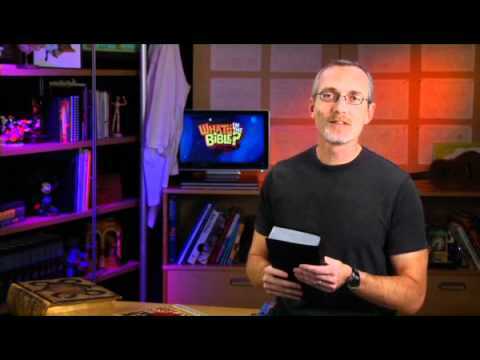 As a place to start for parents, this new DVD features scenes and songs from Phil Vischer and the cast of characters from the popular What’s In the Bible? series. A special episode called What Is the Gospel? is included to teach kids about who Jesus is and his sacrifice for each of us – a special moment for a parent to be able to share with their family. 1 Hour Bible for Kids also includes instructions to download two newly created activity packs for learning both on screen and off screen. These activity packs were created for both younger children and older children. A 25 page coloring pack for younger kids will allow creativity and really great art for the fridge! The 20 page activity pack is designed for older kids to challenge and encourage art, problem solving and memory. Start the journey today! As co-creator of the popular VeggieTales series, Phil Vischer has served as writer, director, and voice for more than a dozen characters, including Bob the Tomato. Phil’s faith-filled VeggieTales stories can be found in a third of all American homes. Vischer and his wife, Lisa, live in the Chicago, Illinois, with their three children. Buck Denver And Friends Present Sing Through the Bible! Buck Denver Asks..Why Do We Call It Christmas? Buck Denver Asks..What's in the Bible - The Songs!